Contact us to submit a nomination. We need your support! Do you like to go off road in your 4x4, and enjoy trail riding? Do you want to help ensure public access to our OHV trails? Do you have some spare time to volunteer and support a not for profit? Do you believe Education and Conservation are the keys to sustainability in OHV recreation? Become a vital part of the largest and most active full size OHV stewardship organization on the east coast? Southern Four Wheel Drive Association (SFWDA) has the following positions coming up in December for Board of Directors Election of the 2018 -2019 term. Join us for our end of year meeting where we wrap up 2017 and discuss 2018. Everyone is invited.This is an all access, no membership required meeting, and we want you all to join us either in person or LIVE online. That's right, anyone who can't make it in person can join us on your phone, tablet, laptop, smartphone, etc., right at home. You are all welcome to join in. We will be streaming our Meeting LIVE on Facebook this year from our SFWDA Page. 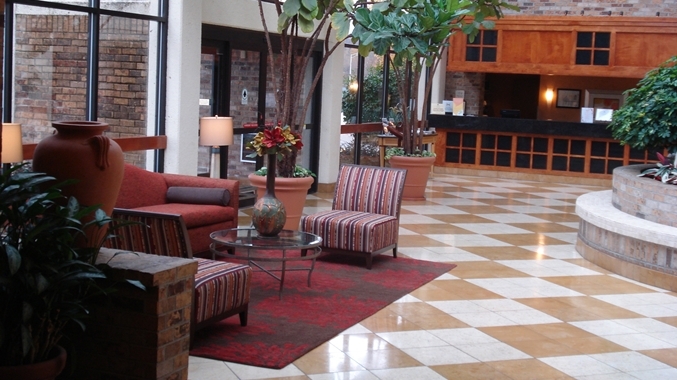 We'll meet at the Doubletree Hotel, Oak Ridge, TN conference room for our 8 AM meeting to begin. During which time we will cover a variety of land use topics and new areas of riding under development. We will also discuss and approve 2017 Grants, SFWDA Bylaws, upcoming events, our budget, plans for 2018, and 2018-2020 elections. This will be an interactive event which all attendees can ask questions both in person and online live during the meeting while viewing the Facebook LIVE stream. Use our Group Code S4W when booking. Rooms are only $82 if reserved by Nov. 15th. Lodging is Available at our discounted rate with our Group Code - (S4W) code if you book by Nov. 15th. A block of rooms has been reserved for December 1, 2017 - December 3, 2017. The special room rate will be available until November 15th or until the group block is sold-out, whichever comes first. Guests can use this link to book their rooms directly or, call the hotel at 865-481-2468 and refer to the group code: S4W This link will take them directly to their special rate and when to make reservations. Meeting notes from our last online meeting.